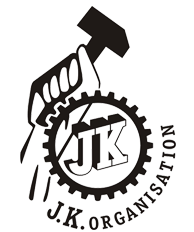 Senior Management of JK Tyre & Industries Ltd. The Company already has for the last three years, a Code of Conduct in position for Management Cadre Staff. The provisions of Clause 49 of the Listing Agreement and contemporary practices of good corporate governance provide that the Company shall have a Code of Conduct for all members of the Board of Directors and Senior Management Personnel. Hence this Code. 1 This Code of Conduct divided into Part A: applicable to the Directors and Part B: applicable to the Senior Management(SM) of the Company, was approved by its Board of Directors at its meeting held on 29th November 2005. 2 For the purpose of this Code, “Directors” shall mean all the Directors on the Board of Directors of the Company and "Senior Management" shall mean personnel of the Company who are members of core management team excluding Board of Directors. Normally this would comprise all members of management one level below the Executive Directors including all functional heads reporting to the Managing or Executive Directors. Integrity including intellectual honesty, openness, fairness & trust. Dynamic & successful business organisation. 3.2 The Code of Conduct therefore aligns around the said core values and the commitment to maintain the highest standards in its interface with all stakeholders, society at large and environment. 4. The Directors and Senior Management recognise that they have fiduciary responsibility and are accountable to maximise shareholder value through good business practices and controls. (m) not disclose confidential information, including commercial secrets, technologies, advertising and sales promotion plans, unpublished price sensitive information, unless such disclosure is expressly approved by the Board or required by law. (a) Subject to the provisions of this Act, a director of the Company shall act in accordance with the Articles of the Company. (b) A director of the Company shall act in good faith in order to promote the objects of the Company for the benefit of its members as a whole, and in the best interests of the Company, its employees, the shareholders, the community and for the protection of environment. (c) A director of the Company shall exercise his duties with due and reasonable care, skill and diligence and shall exercise independent judgment. (d) A director of the Company shall not involve in a situation in which he may have a direct or indirect interest that conflicts, or possibly may conflict, with the interest of the Company. (e) A director of the Company shall not achieve or attempt to achieve any undue gain or advantage either to himself or to his relatives, partners, or associates and if such director is found guilty of making any undue gain, he shall be liable to pay an amount equal to that gain to the Company. (f) A director of the Company shall not assign his office and any assignment so made shall be void. (a) devote their utmost to achieve the goals of the Company and the standards set before themselves. (e) ensure confidentiality of all material sensitive information of the affairs of the Company coming in their possession and not to disclose or use the same for personal profit or for the advantage of any other person unless the same is required to be disclosed to any other person in terms of applicable regulations. (m) remain apolitical while involving in conduct of Company’s affairs. (c) permit misuse of company's properties and assets, both tangible and intangible. 7. This Code is in addition to and not in supersession of other Codes for the time being in force, viz. Corporate Ethics and Code of Conduct, implemented voluntarily by the Company; Code of Conduct for Prevention of Insider Trading and Code of Corporate Disclosure Practices pursuant to SEBI (Prohibition of Insider Trading) Regulations, 1992. The Code of Conduct shall be posted on the website of the Company. All the members of the Board of Directors and Senior Management shall affirm in writing compliance with this Code immediately after the Code is approved and adopted by the Board of Directors of the Company and on an annual basis in every financial year as per the format given at Annexure-I. The Annual Report of the Company shall contain a declaration to this effect signed by the Managing Director as per the format in Annexure-II. I hereby affirm compliance with the Code of Conduct for members of the Board and Senior Management of the Company.